A good week and transfers! WELCOME TO THE WORLD LITTLE JAXSON!!!! Felicidades Josh y Sophia! Les amo mucho! I am so happy for you both! That is such good news to start off a week! This last week was really good though! 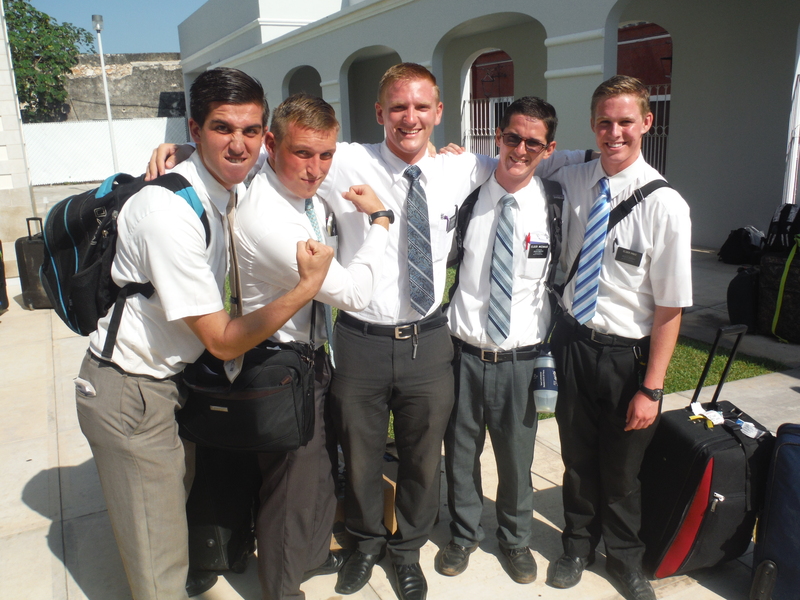 We were able to teach a lot and the members of our ward are starting to come out and work with us. This week we did divisions and I went with the bishop to visit a couple of people. Also the Stake President came out with my companion and I! That was really awesome. Presidente Lira came with us to visit this family that is new here in Merida, they are from Veracruz. Im not sure if I have talked about them already but they are so awesome! 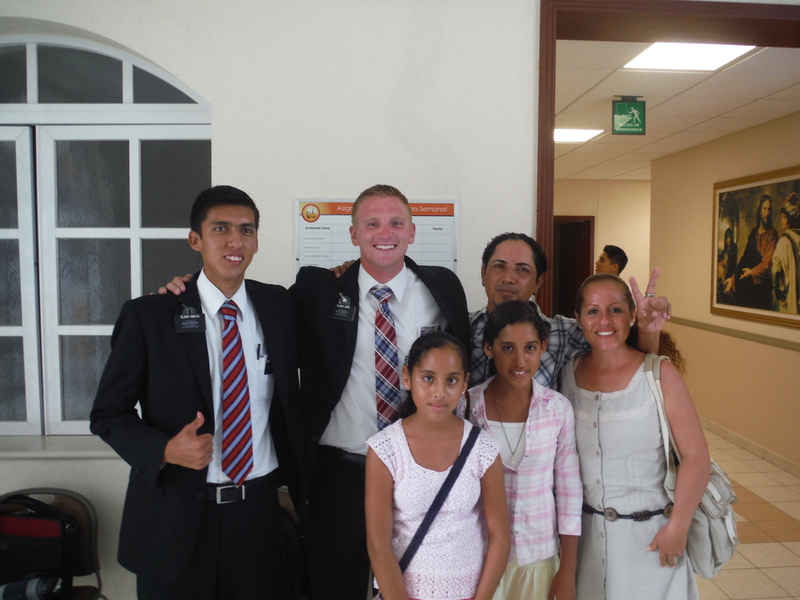 I realized that the people from other parts of Mexico are way different! I sent a picture with this family, and the mans name is Carlos. He is seriously so awesome, a really good friend. Since the first time we met them it has been like that! Oh another cool thing happened yesterday. The stake president invited us the other zone leaders in the stake to a meeting with the stake presidency and the bishops of the entire stake last night. 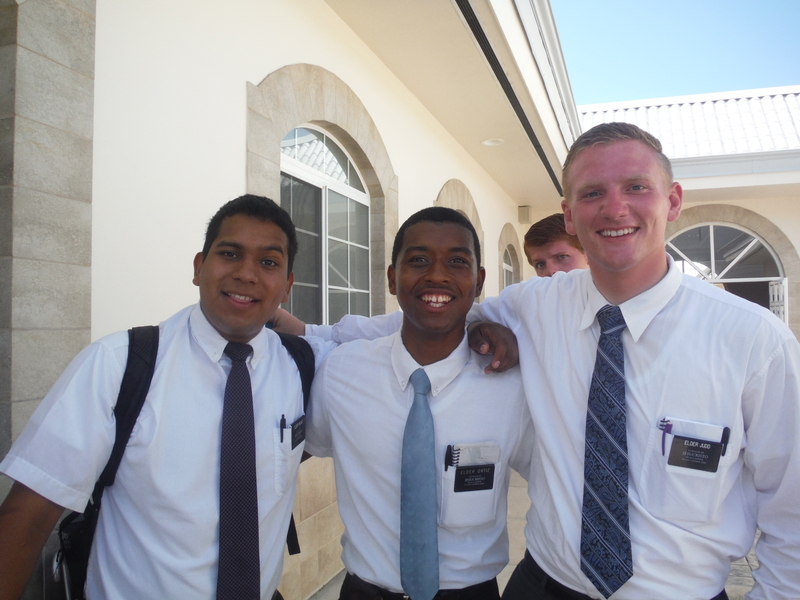 We went over a letter that one of the seventy sent to the stake presidents about how we should work with the future elders and help them in the process of preparing to receive the priesthood. We didnt have a very big part in the conversation but it felt cool to be in the room with them hahaha. The stake president is awesome and it is cool to learn about the organization of the church and what not! How the leaders work. So we had transfers today! I stayed in Caucel but my companion got transfered. 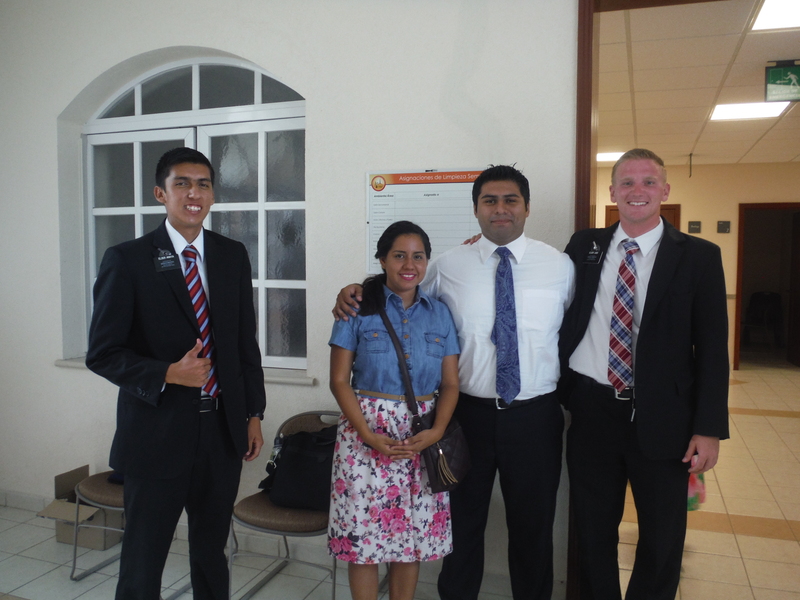 Now Im with Elder Zambrano. I dont know a whole lot about him but he is from Honduras. 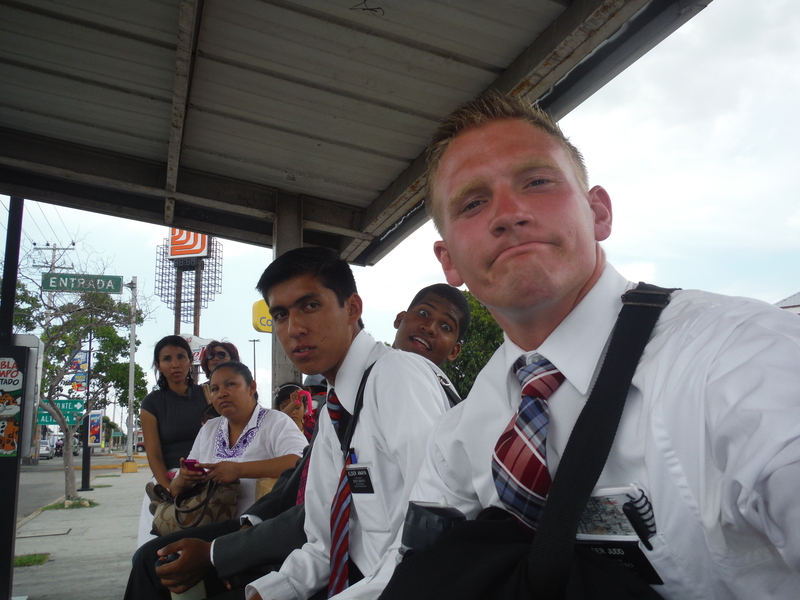 He is really cool, and a really good missionary. 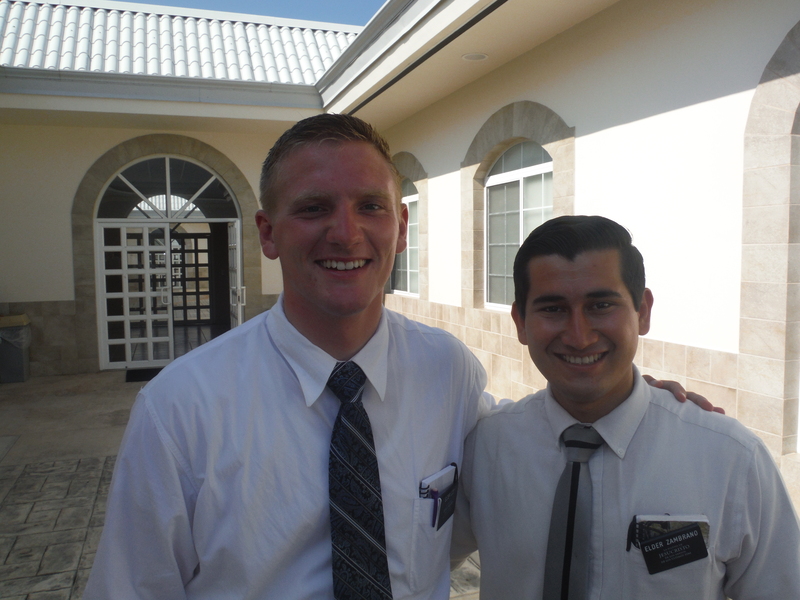 He has been a zone leader for the last year haha so I am hoping to learn a lot from him! This entry was posted in Caucel, Pictures on August 6, 2014 by Courtney and Nickolai.